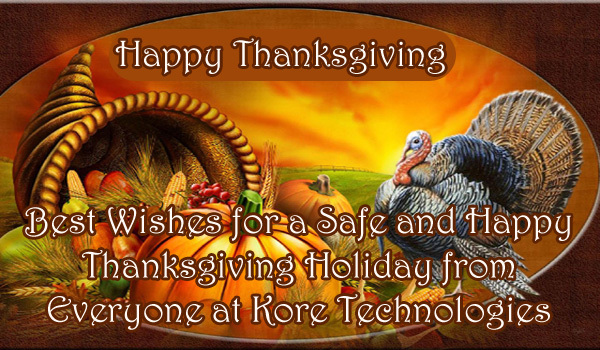 From everyone here at Kore Technologies, we want to wish you a safe and happy Thanksgiving holiday. Our offices will be closed this Thursday (11/22) and Friday (11/23) so that we can enjoy the Thanksgiving holiday weekend with our families and friends. We hope that you enjoy the holidays as well. Normal business hours (6:00 am to 6:00 pm PST) will resume Monday, November 26th, 2018.